Many claim “SEO is dead”. Do a search for this very phrase on Google and you will understand what we are talking about. The truth, though, is that: SEO is far from dead. It’s thriving and is still an effective way to increase traffic to your dealership’s website. Think about it – when people are looking to buy a car, more often than not they will open up their web browser to search for information about different makes and models of cars as well as the automotive dealerships that offer them. The internet is a huge portal of information and what better way to find answers to your questions than typing them into a search engine. However, with search engines like Google constantly updating their search algorithms to give users the best results, how can you bring your website to the first page? By starting an automotive SEO campaign of course! However, let’s face it – while most automotive dealerships realize the importance of SEO, many fail to grasp the terminology or concepts involved in achieving their goals. The top 8 SEO terms we have mentioned and discussed below will allow you to better assess what an SEO professional proposes for your automotive SEO campaign and/or help your dealership maximize your in-house SEO efforts. So, let’s get started then, shall we? Today, local SEO is more important than ever. 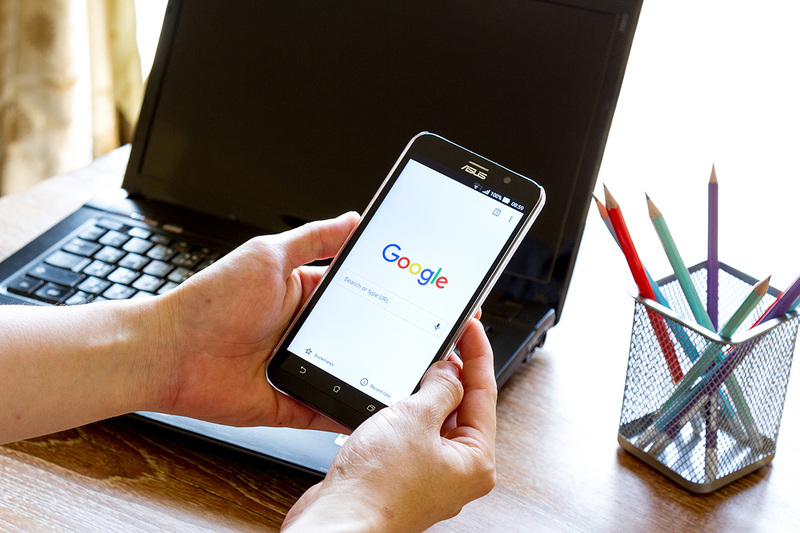 With Google prioritizing local businesses in their search results, maintaining your website’s status with the search engine giant is not only necessary for every automotive dealership, but also must be on the top of your to-do list. While building local SEO is an ongoing process and no easy task, it can provide terrific results if done correctly. You can boost your dealership website’s local SEO by generating listings on websites (such as Yelp, Manta and Merchant Circle) optimizing your website for mobile and improving internal links (via cross linking related pages) and keyword strategy. Using these strategies in conjunction with each other can help your automotive dealership rank higher in Google’s local search results. You have probably heard of Google Analytics already, but what exactly does it do? It’s a free web analytics tool that provides comprehensive statistics with regards to how much traffic a website generates, the source of the leads (whether from paid or organic SEO) and a variety of other metrics related to site search and visitor activity. With the information produced in these reports, automotive dealerships can identify where and why their website might be struggling online and take appropriate measures to make sure those issues are fixed. Therefore, if you want to expand the reach and effectiveness of your dealership’s website, opening an account on Google Analytics is the way to go! Every day, the number of users on social media is growing. According to statistics, there are estimated to be around 2.76 billion users from around the world on social media by 2018! However, this doesn’t mean that you should be active on every social media network out there – it’s important to choose one that’s serves your target audience and give that one network your all. Knowing which keywords are the best to target is a critical part of automotive SEO. By carrying out keyword research, you can determine the right keywords to focus your content strategy on. You can make use of online tools such as Google Keyword Planner to help you, as it suggests different keyword options and displays their estimated search volume based on user searchers. In addition to knowing which keywords you need to target, it’s also important for automotive dealerships to realize that results don’t come overnight, especially since high-traffic keywords are more competitive. A great strategy is to create content that will not only target competitive keywords, but also include relevant variations of keywords that are less competitive. Duplicate content, also known as plagiarized content, refers to substantial blocks of content across or within domains that either are appreciable similar or completely match other content. Considering that you would want to establish your dealership website as a trusted, helpful resource, you should avoid having plagiarized content on your website as it not only gives off a bad impression but can also get you penalized by Google. SMS (an acronym for Short Message Service) marketing and customer support can prove valuable assets for any automotive dealership. With virtually all mobile phones featuring support for SMS-based messaging and mobile usage constantly on the rise, you can take advantage of the widest possible reach and attract potential customers for your business. When you change or delete URLs, they don’t just fade away into the digital universe! Users will receive a 404 error or are redirected to a “Not Found” page when they try to search for a URL that no longer exists. To avoid confusing users, it’s recommended that you use a 301 redirect, which will redirect search engines and users to an active page that you specify from the retried URL. And with that, we have come to the end of this article! While the aforementioned terms are just the tip of the iceberg when it comes to automotive SEO, they will give you a general understanding of some of the most important fundamentals of SEO. Having a proper understanding of SEO is vital to put together an effective automotive SEO campaign and produce the results you are looking for. So, it’s time to read up and brush up your skills! Nice information you shared with us! I agree with, for making a high authority automotive website, all above listed topic is important and useful.